Find out how we overhauled the website of one of Dorset’s leading estate agents, integrating their two property feeds in the process. 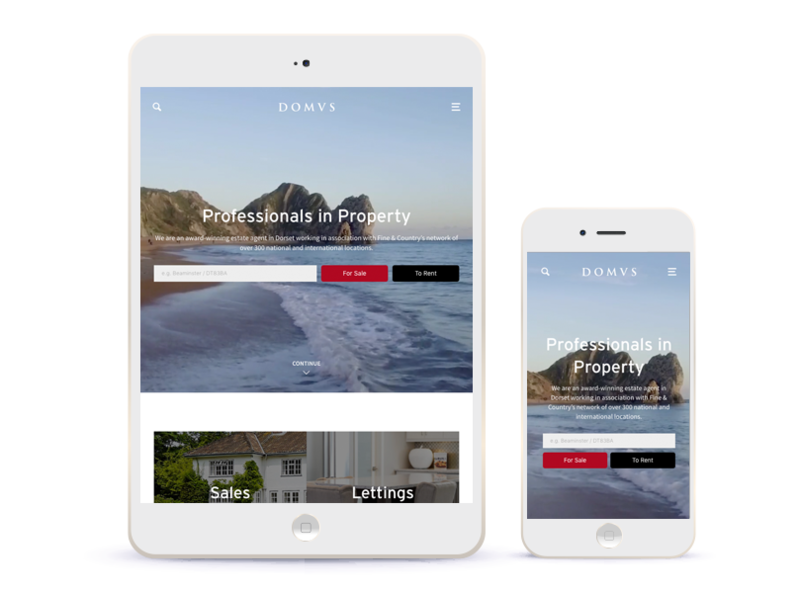 We were really excited when we were contacted by DOMVS estate agent in Dorset to talk about how we could help them redesign and develop their website. DOMVS had a clear vision for their third website. They wanted a modern, striking design which lets the properties that DOMVS represent shine. Making the search easy to use and the search results appealing and enticing was really important. We focused on letting the imagery do the talking and making the results quickly scannable. The property detail pages are key on any estate agent website, so we focused on letting the imagery shine with a beautiful shot of the property the first thing you see on the page. We also organised all the content relating to the property into tabs to keep the page neat and tidy and not overwhelming. Mobile was a key consideration, with many users browsing the site from tablets and phones. We made sure our proposed design would adjust beautifully on these devices too. 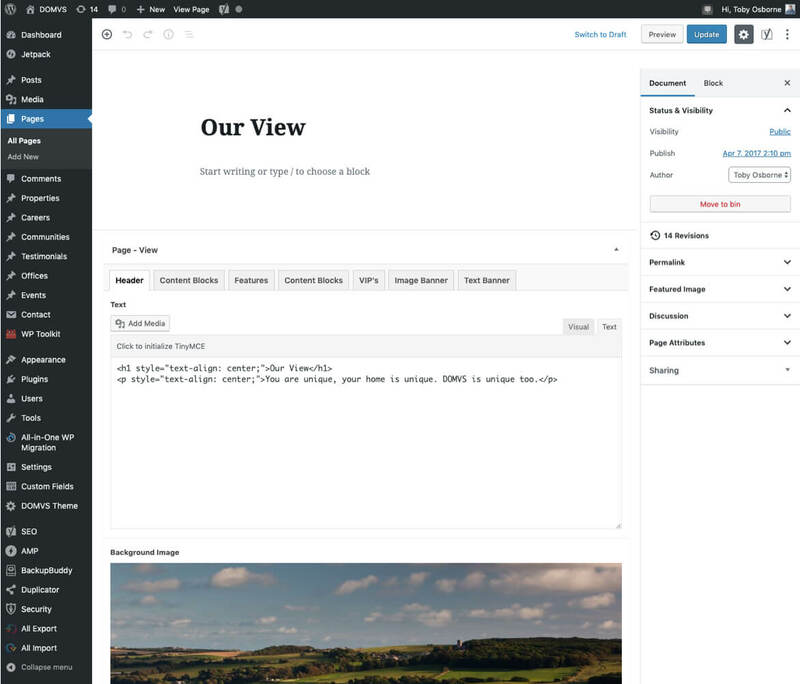 We implemented our designs with WordPress so that all content on the website is editable. This means that new events can be added with ease, client testimonials can be added, videos can be updated and just about all the content can be amended and updated easily without DOMVS needing to contact us. This gives DOMVS total control over the content on their site and the ability to add new content, which is so important for good Google rankings. The new DOMVS estate agent website is also hooked up to both the Reapit and Propco property feeds, so that at set times of the day the new website fetches both feeds, checks for updates, and pulls through all the corresponding data to populate and update the property detail pages on the website. This makes admin easy for DOMVS – they add properties once (to Propco or Reapit; depending on whether its a property for let or sale), set the relevant statuses (like under offer, sold, withdrawn etc) and these get pushed to the new website as well as to other sites like Rightmove and On The Market. This means that DOMVS don’t have to waste time updating the website independently – it’s synced with all their software.